Energy efficiency in the home is attractive because not only does it bring energy savings but it also allows you to do your bit for the environment. But how exactly do you achieve energy efficiency? That’s where Green Air Heating and Air Conditioning, Inc. comes in. 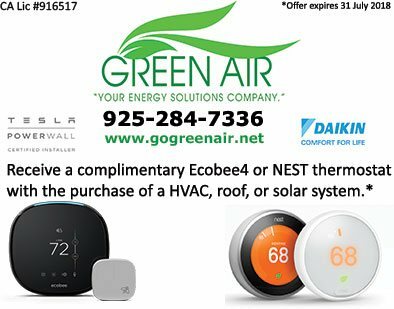 As your energy solutions company, Green Air boasts of a lineup of products and services designed to give you a fresh take on energy use. For instance, we offer customized solar panel designs and award-winning installation services to help you harness solar energy for everyday use. Depending on how you want to take advantage of solar energy, you can generate your own heat and electricity, reducing your dependence on the grid. Got HVAC issues? Green Air has you covered! We install, maintain, and repair residential and commercial HVAC systems, addressing concerns related to heating, air conditioning, duct work, and air quality. With your HVAC system running efficiently, you won’t have to worry about unnecessarily used energy, which will definitely make its presence felt on your energy bill. Green Air is also a Certainteed-certified Master Elite Contractor and Green Roofer. As a Master Elite Contractor, we’re certified to offer quality asphalt shingles from North America’s largest roofing manufacturer, starting with their Timberline Ultra HD, Grand Canyon, and Glenwood lines. And as a Certified Green Roofer, we are committed to caring for the environment by recycling shingles where possible in the replacements we do. Green Air has been in business since 2007 but draws on more than 32 years of experience to take care of your unique needs. 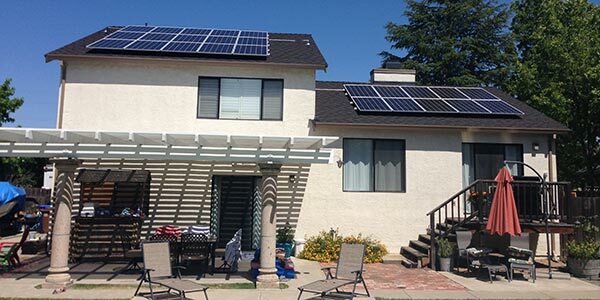 To learn more about our services in Alameda, CA and what we can do for you, just give Green Air a call at (925) 62-SOLAR or (925) 28-GREEN. You can also send us a message via our online contact form and we’ll get back to you right away.